We are excited to announce the 2019 Science Fair at BCE, which is open to all students, from Kindergarten through 5th grade. The Science Fair will be held in the Multipurpose Room on January 24, 2019. For help on How to get started and Science Buddies Free Science Fair help for K-12 Science students, Teachers & Parents please visit http://science.santacruz.k12.ca.us/forms.html. There is also a list of resources for project ideas at http://science.santacruz.k12.ca.us/links.html or visit Mrs. Woolliscroft in the School Library for books on Science projects and Science Fair ideas. Once a topic has been chosen and the experiment designed and carried out, each participant will present their results in the form of a poster board, and their laboratory notebook. 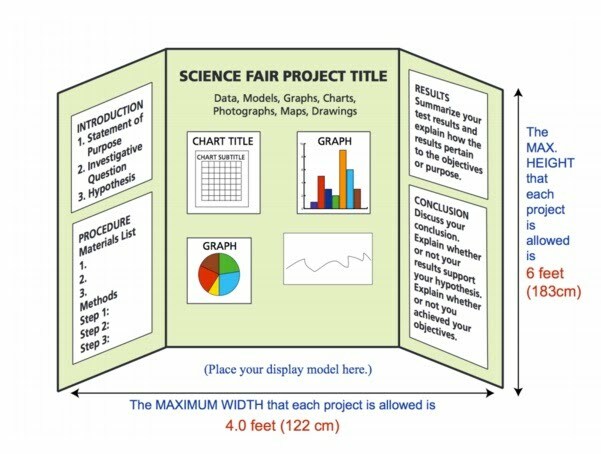 Students in 4th or 5th grade who would like to be considered for the Santa Cruz County Science Fair should also provide a written scientific report. Please see Santa Cruz County Fair Student Guidebook for details (http://science.santacruz.k12.ca.us/students.html). Poster boards will be available from the BCE School Office or Patty Hayes in Room 12. Each participant will be briefly interviewed by 3 volunteer interviewers. How would you improve your experiment? What would you do next? Return application form to Science Fair box in the BCE School Office. January 23rd: Science Fair table set-up (Volunteers needed). January 24th: 7.45 am to 8.30 am Students set up presentations. Students will be called out of class throughout the day for interviews. 6 pm to 7.30 pm Family viewing of Science projects. January 25th: BCE students viewing of Science projects. Science Fair table breakdown (Volunteers needed). Volunteers are needed to help set up tables on Wednesday, January 23rd after school and break down Friday, January 25th after school. We also need volunteer interviewers Thursday, January 24th for 1-hour slots. For those students who choose to there is an opportunity to represent BCE at the Santa Cruz County Science Fair at the Plantronics in Santa Cruz on March 1st - 2nd, 2019. All students are welcome and encouraged to participate! Ten BCE students will be selected from the pool of volunteers. Our 4th and 5th-grade students will compete with other schools for placement and prizes. Please note that Kindergarten through 3rd graders do not compete for placement or prizes. All students who attend will receive participation ribbons. February 8th: Deadline for student registration.